A revolutionary product. An impactful story. 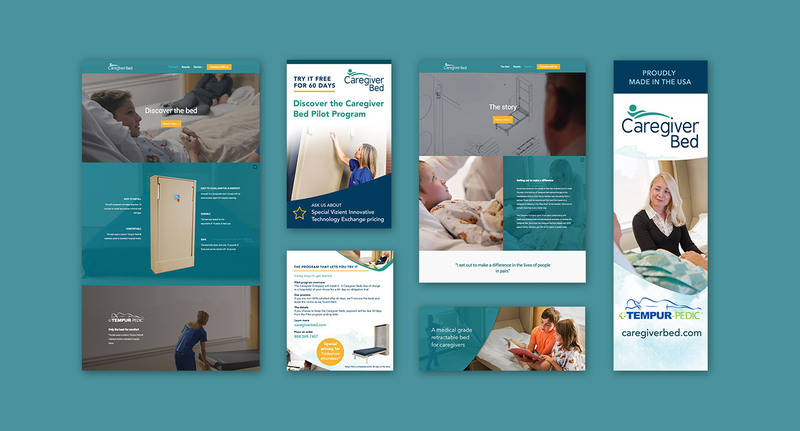 Caregiver Bed knew they needed collateral to communicate the impact of a bed that was shown to improve patient outcomes in a way that would resonate with hospital buyers, healthcare consultants, and health system teams. ZIV was chosen to be their storytellers through the photography, video, and brand direction process. With an arsenal of new brand assets that created emotional connections with buyers, showcased the bed, and encouraged hospitals to get on board, Caregiver Bed moved the needle on their sales – a story ZIV was proud to be a part of.